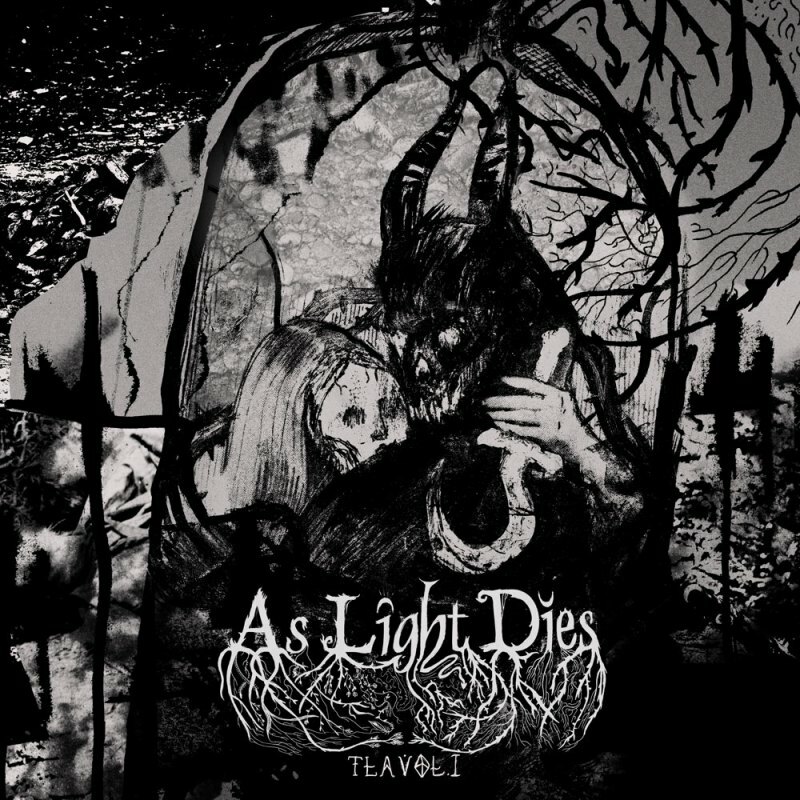 Spain’s As Light Dies have been around since 1999 and The Love Album Vol 1 is their third full-length release. It’s a hugely ambitious release at that, consisting of five songs interspersed with film samples related to their chosen theme of love. The music is eclectic, with elements of death, doom, gothic and heavy metal. The album has an eerie feel to it, mostly from the sample tracks, made all the more spooky by an echoing quality to the voices, minimalist sound effects and gentle, sparse piano notes that would sound perfectly at home in a suspenseful horror film. This all combines to create a deeply unnerving atmosphere, which is maintained throughout much of the album. This is demonstrated perfectly in opening track, “We Are All Destined For Grief”, with samples from Lars von Trier’s “Antichrist”; Willem Dafoe sounding quite demented. Presumably there is at least one fan of Mr von Trier in the band, as “Melancholia” is used as a source of samples later in the album. The only track that is a resounding success in its own right is “Your Wake”, predominantly death metal with some melodic piano, a great guitar solo, occasional soaring clean vocals and some very well-placed samples from the film, “The Family Man”. Final song “Farewell From Distant Shores” is a great effort, mixing metal with the sounds of mellow, melancholic indie rock. At times the track is truly beautiful, at others it lacks a cohesion. Some of the transitions are a bit sudden and there’s a long, meandering middle section that seems to lose its way. However, this is followed by some utterly gorgeous strings and piano that is worth the wait. “Farewell From Distant Shores” highlights As Light Dies’ strength and weakness; some of it is great, but the whole is just missing a little flow that would make it a fantastic piece of music. The other songs all feel like something is missing; there are good bits, such as the lead guitars in “Orpheus Mourning”, haunting sound effects in “Together As One”, but the quality is not sustained. There are so many ideas thrown in to these tracks, some of which work and others don’t. However, taking the album as a whole rather than individual songs, it is certainly an experience to listen to. Overall, the atmosphere created by the band is quite captivating and unsettling. It’s either self-indulgent or very clever… probably both. If this album is about love, it’s more of a warning than a paean, with its disturbing samples and forbidding atmosphere. Contrary to what one might expect from The Love Album Vol 1, this is far more likely to chill the heart than to warm it, which is perhaps its most resounding success. While The Love Album Vol 1 loses a tiny bit of credit frodue to the fact that most of those songs teeter on the edge without toppling over into the ‘keeper’ pile, it is nevertheless a compelling experience and recommended as a change from the usual metal fare. This entry was posted in Reviews and tagged As Light Dies, death, doom, gothic, Heavy Metal, Lars von Trier, Spain.